TP-Link SOHO Community > Wi-Fi Routers > How to recovery the router when you bricked it? I am using a TL-WR4300ND and bricked it when I flashed the DD-WRT,my router just became a useless box. I called the hotline and this situation was not in Warranty, it is really a pity. After trying many times, they finally offer me a way to fix my router. I have to say,I got an amazing support from TP-LINK Support, I am going to share this method with you guys. Download the latest available firmware from TP-LINK website. Here comes the most important part,switch off your router and Connect a LAN port of the TL-WDR4300 to your TFTP Server machine. Hold down the Reset button on the back of the router and switch it on till you could see the information below in the log viewer option. Obviously, you have to press the log viewer at first, you can see the name was wdr4300v1_tp_recovery.bin. You may need to try it several times. Rename the file name as wdr4300v1_tp_recovery.bin which you download from the TP-LINK website and browse to the folder where you saved the renamed firmware. Ensure the firmware name and folder path was correct. release the reset button when there pop-up a flashing window. Wait for some time until the router reboot itself. Congratulations when you finished these process, this really a hard work for you and me. I tried many times till I get the success. Hope you guys as lucky as I am. Notice: Your router may not support this function if you cannot see the file name in the log viewer . Re:How to recovery the router when you bricked it? My quesstion: did anyone experience the boot BIN file uploading and halting at 66% (we see 75417 blocks uploaded) then it halts and does not continue ... everytime!!!! Then, all the lights on router are just flashing and never restarting.. actually i left one entire night hoping it will restart.. i tried this again.. same issue, it's not restarting.. nor when i restart manually helping. And now all icons on my router are flashing for second and stop, then flashing and stop. I wasted my whole weekends trying to fix this lousy router and all in vain. I got it bricked while configuring OpenWRT firmware on it. I wouldn't had to install third party firware on first place if the router worked correctly. So dissapointed with this manufacturer, will never buy from them again. 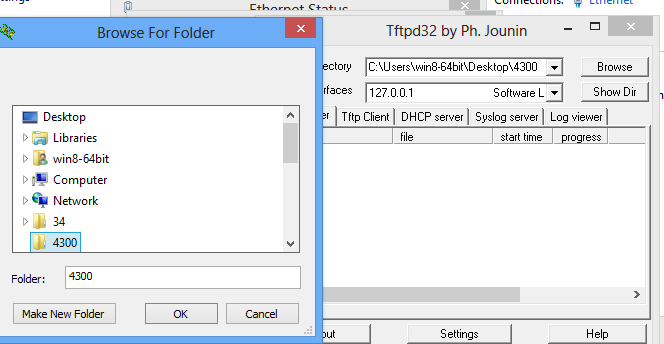 I changed the link for tftp server, you guys could try this version. "ARP, Request who-has 192.168.0.66 tell 192.168.0.86, length 46"
"IP 0.0.0.0.bootpc > 255.255.255.255.bootps: BOOTP/DHCP, Request from (oui Unknown), length 300"
I tried tftp server with recovery file, ftp client method to put firmware, but no success, Kindly help me to solve it , I need it urgently back to work? I have the same issue with restarting. Heroeda, did you or anyone else find a fix?